Motivated by the experience of building and living in a passive house, one of Ireland’s leading political figures has become a public advocate for the standard. 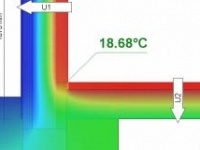 Passive House Plus visited the house to find out why. 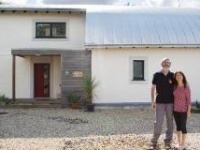 The eco-village at Cloughjordan, Co Tipperary is no stranger to low energy buildings, and with this passive house, architect Paul McNally of The Passivhaus Architecture Company set out to prove that energy efficiency and good architecture go hand-in-hand. Three award-winning affordable homes in scenic North Norfolk have achieved passive certification while embracing a unique local style of architecture. How can a house embrace passive solar principles when all the sun’s heat and light is to the south — but all the best views are to the north? This striking home on the Connemara coast employed some clever solutions. The latest in a string of passive house projects by social housing providers, Octavia’s Housing’s new mixed-use development at Sulgrave Gardens embraced fabric first design on an awkward London site to help protect occupants against rising fuel costs. For self-builder James Byrne, building to the passive house standard was just one element of an approach that aimed to drastically reduce the environmental impact of his house — built from a hemp and lime system, it also features solar collectors, rainwater harvesting and natural wastewater treatment. Despite its stop-start beginnings, this cottage in the west of Ireland delivers a traditional-but-stylish design with close-to-passive performance. 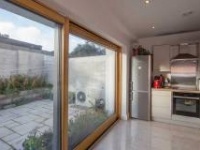 When work began on this low energy, super airtight project in Co Galway it faced a tight budget and a market for passive house products that had yet to mature. But in the end its owner Hugh Whiriskey emerged with a comfortable home with stunningly low annual heating and hot water costs of just over a euro per square meter. 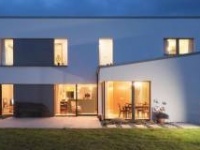 This uncertified passive house on Ireland’s south-west coast makes a striking-yet-sensitive architectural statement. The team behind a series of passive house schools in Wolverhampton have used the lessons learned from in-depth monitoring of the first two buildings to make the third even better — and cheaper to build. This certified passive house on the west coast of Scotland might look like a traditional hayshed, but it’s certainly more energy efficient than one. In the absence of strong energy requirements under building regulations, much of the UK’s new build innovation has been driven by the Code for Sustainable Homes. Amid growing concern that the code’s attention to energy efficiency falls some way short of passive house, monitoring results from one social housing scheme offer a rare opportunity for direct comparison. In spite of having no construction experience Steve O’Rourke decided to make his self-build home a passive house, a feat achieved by a well-considered and collaborative approach. Passive house is all about using tiny amounts of energy to deliver maximum comfort for those living and working in buildings that meet the standard. So why did Wain Morehead Architects turn to their passive house knowhow when designing a whiskey distillery that won’t have any occupants?